The Sea Monsters cover featuring One Inch Badge has been one of Kenny’s most ambitious yet, and possibly our favourite (there are already a few contenders). So we thought you might like to see the work that went into it. 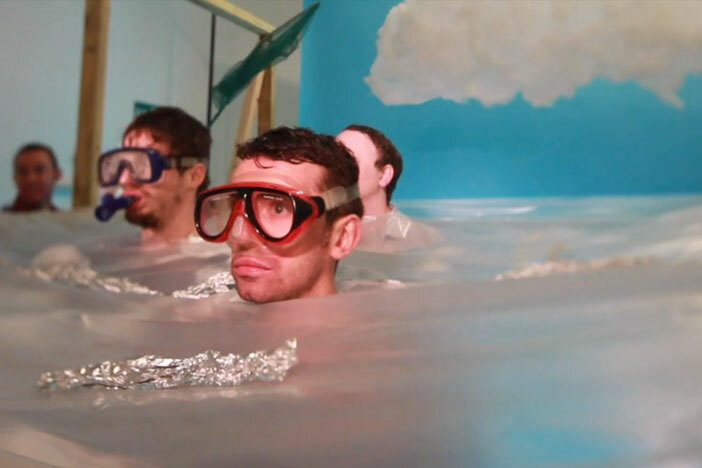 Kenny spent a couple of days making the set and lighting it in the Create studio complex so that at first glance it would look like the guys were in the ocean. You might be surprised how he did it. Incidentally, if you want to learn about photography – from how to make your DSLR work to complex lighting like in the SOURCE shoots – click here to see about the courses that Kenny and the Create crew do.